OK, the Sugar Daddies - it is not what you think. They are broke. They are called the Sugar Daddies because they are sweet, and they stick together. These guys have great fun ringing chords and entertaining. 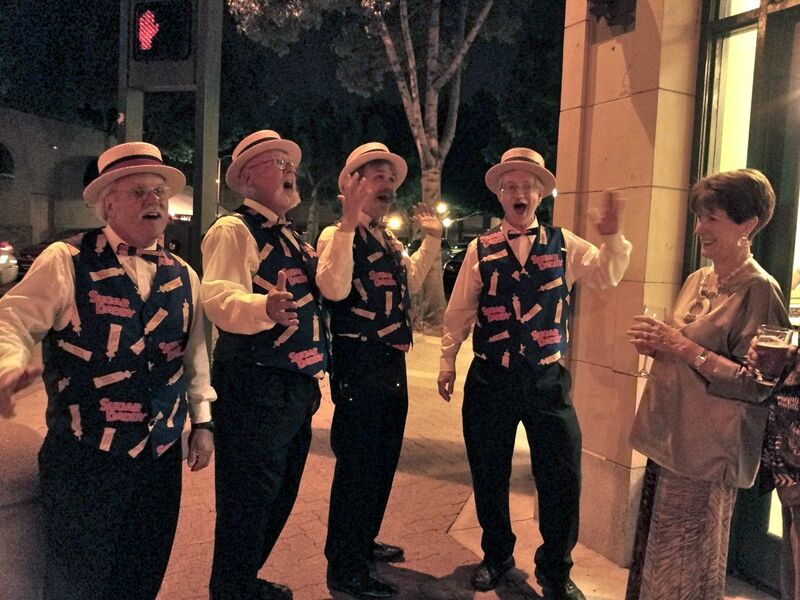 Look for them singing on the streets of Downtown Fullerton, or hire them for your next event. How does a barbershop quartet like the Sugar Daddies get started?